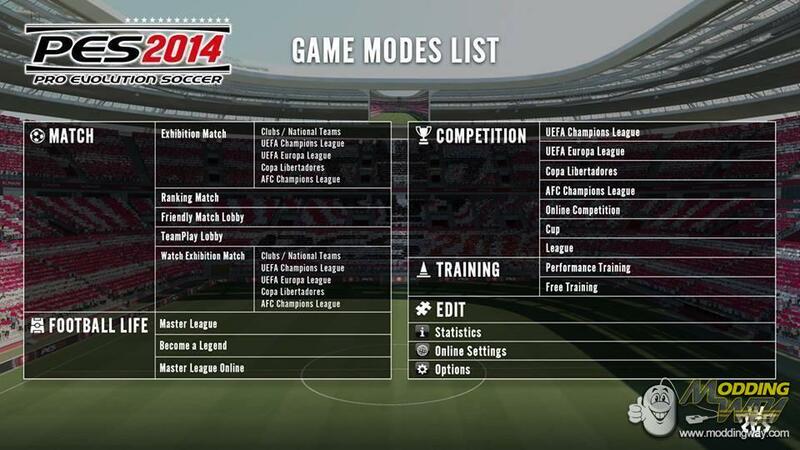 Konami revealed Game Modes available in PES 2014. Check out this screenshot with all info. UEFA Champions League, UEFA Europa League, Copa Libertadores, AFC Champions League will be available as solo competition as well as cups and leagues.